Hi. We're back with another Me Moment. Today we'd like to talk to you about Safco's mobile beverage cart. Pamper your cart and keep them refreshed with this mobile beverage cart. With its sleek and contemporary design, this modern cart is great for welcoming your guests in lobbies, conference rooms, or even board rooms. Let the cart transport your items with ease! The melamine top and the wire rails prevent your beverages from falling off during transport, and 2 locking casters allow for a smooth movement. And, it has a spacious, locking cabinet, one with an adjustable steel shelf for storing more beverages to make sure everyone gets their thirst quenched. Make your next meeting an enjoyable one by treating everyone to an ice-cold or delightful hot drink from this beverage cart. This has been a Me Moment. Please join us again to find out how Safco helps you work hard and play harder. Promote convenience, comfort, and hydration in your business with the Safco mobile beverage cart. Sleek in design and easy to transport, this cart is ideal for conference rooms, lobbies, and other commercial environments. 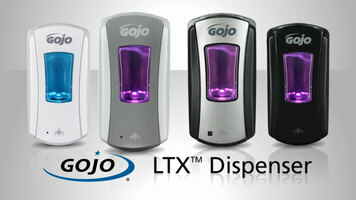 If you need a convenient, touch-free soap dispenser for your establishment, try the GOJO® LTX model! This dispenser saves time and money by only dispensing soap when the infrared sensor is triggered. 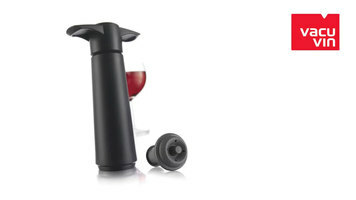 Resealing your favorite wine bottle has never been easier with this Vacu Vin wine saver! Place the vacuum on top of your bottle, pump until you hear the click, and you’ll have fresh wine to open at your next gathering. 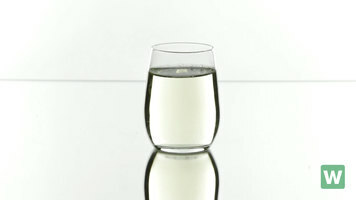 This versatile Libbey stemless wine glass is equally suited for red and white wines, cocktails, desserts, and even votives! The sleek, modern stemless design makes for worry-free storage and cleaning with an attractive flair.